I do believe in magic. I don't believe in magic like in Harry Potter. Also not in pulling a rabbit out of a hat. I mean clearly you can pull a lot of rabbits out of a hat, but it is not an interesting magic. I do believe that there are many many many cause-effect pairs, which are not well understood, not apparent, sometimes intuitive, sometimes counterintuitive.The only way to approach such pairs is empirically for now. I believe also that most of this pairs are not "If I do A result will be B", but rather "If I do A, the probability of B increases". Last statement makes it more complicated to gather data to show that such a pair exists. Same experiment has to be repeated more times. I want here to have a closer look at some of such pairs. I want to write down things, where I think, a cause-effect connection exist and if possible then repeat experience and have a look at the result. The purpose is not to have a final proof of anything, but just to have some more clarity on where I have a cognitive bug or things just happened at the same time and where there might be indeed a connection between two things. - This one is from a famous guitarr player ( I don't remember his name, but think he played for Frank Zappa). He said, that if you really really want something or are really really afraid of something, then you get exactly that. That one might be difficult to explore, because being really afraid or really longing for something are involuntary states. Some of this things/experiences are difficult/impossible to repeat for one person. So if you can add from your experience, I appreciate. It appears that magic, like I understand it is a lot of work ^^. And I am not a good person. There are significantly more people upon whom I wish a lot of bad staff, than people upon whom I wish something good. So. Starting tomorrow I am gonna play 20k hands as fast as possible. Not sure if it will be FL or PLO. But it will be in a messy appartment. Then post a graph. Then tidy up, clean up, get rid of all junk and play again as fast as possible 20 k of the same variant. Post a graph. I got a fengshui book as present. There is clearly a lot of crap there. But one thing, which I like, is that before you do any of the rituals or rearange anything, you have to clean-up and get rid of junk. That can't be bad. So the part with cleaning the appartment will be at the same time preparation for fengshui magic. 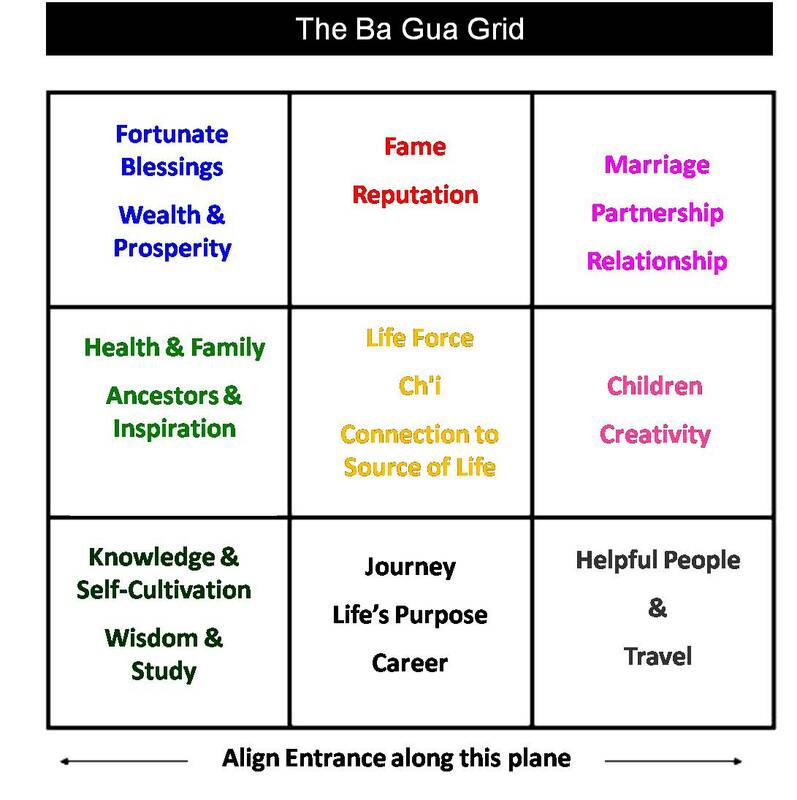 then I will try to improve my wealth and my partnership area, like they are defined in this grid https://fawnachang.files.wordpress.c...gfengshui4.jpg . Will describe later, what exactly I am gonna do. One is money. It was a present to a couple. The wish I coupled to this money is, that I want them either getting really sick. Something like cancer or ebola. Or have really bad car accident. Or have really bad financial trouble. Time frame is 6 monthes. I mean clearly if you wait long enough something is gonna to happen. So I set 6 monthes as a reasonable test period. The second was a christmas ornament, as a present to my mom. The wish coupled to those ornament ist, that I want her to loose weight. She is at least 40 kg overweight and has high blood pressure. I don't want her to loose 40 kg in 6 months, but to consequently change her life style in the next 6 months. She is overweight for a long time, and I know, that it is difficult for her to change her life style. So that one would be really cool to work. Doesn't sound good what you wish to happen to that couple. What's the reason for that, if I may ask? Good Question. I become concious that I wish a lot of really bad staff upon a lot of people since I started this blog. It is even difficult to me to write here most of that, although 2+2 is nearly perfect therapist. Most of the time it is when people said or done something what makes me feel miserable. But it is basically always completely out of proportion. Haven't played a lot of poker. Worked instead on a perfect job magic. First step is to asses the current situation. Second step is to decide what is my perfect job. And then decide what actions I need to take and take this actions. 1. I have a job in industrial research. I like the work pretty much. I can even say I love it. Money I make is also pretty ok. But I hate the city where I am with passion. And the pay is OK, but compared with my male colleagues I am underpaid. The current situation in my company is also so, that the likelyhood of a raise is 0. I have excellent education, tons of experience, and excellent references. So I figured out I can do better. Me getting 10 % less than my male colleagues, doing the same work, annoyed the crap out of me. And I am good enough to have a job, which does not constantly annoy me. 2. So I would like be doing approximately the same what I am doing now for 10% more money and in a city, where I like to be. I gave a notice in my job last week. The thing is that in Germany it is impossible to give a two weeks notice. The shortest regular notice is 3 monthes. For my contract it is 6 monthes. And so I will leave my current position first June next year. I need to write a good description of my work in a current position (not sure if it is called letter of reference) and give it to my Boss, so that he signs it and it can become a part of my applications. Actually apply for jobs. Has sent 20 applications until today. Plan is 2 applications a week minimum. and it has been really difficult to give this notice. I am not sure what exactly gave me the final push. The sense, that I can really do a lot better somehow grew over the last couple of monthes. I think that magic is in what made me really taking actions. The cause and result pair, is not my actions - better job, but whatever made me taking actions - actions. Last edited by lapka; 11-29-2014 at 08:17 AM. I had depression. I had it for pretty long time and it was really bad. With suicidal thoughts and insomnia and all the other bad staff, which is the part of it.I have done everything to get rid of it. Have taken medication, went through therapies, eat healthy, exercised, jumped on one leg around the house^^, taken bathes and so on. I had even a thread here about it. (was highly therapeutical. Thanks to the guys from HF). But it wasn't going away. It was some days better than others but it was basically constantly not normal. Especially insomnia was really killing me. And then one day it was gone. One of the worst parts was insomnia. I layed every night in my bed and I just couldn't sleep. It was horrible.48 hours without sleep change the world around you to a really dark place. And then one day I started to play pretend. I often pretended to be a fairy or a princess as a child. And I started to do the same, when I was laying in bed and could not sleep. I started to pretend being a witch. I started to draw in my phantasy the pictures, of all things I will do, when I will fall asleep, since my witchcraft was clearly on its peak in the night when I slept^^. And then I really did fall asleep. My sleep pattern normalized and from this point depression disappeared in very short period of time. I think that a cause of basically every depression is a felt helplessness. Feeling of being stuck in a situation and not being able to do anything about it. This pretending to have some magic power, elevated this feeling of helplessness. I mean imagine, if you really could do wave a magic wand and do whatever you like, then you are definitely not helpless with whatever problems you have. And somehow my brain did believe that and had let go of the depression. have signed a contract for a new job beginning in July this year. Not in the city, I like to be, but with a significant more money, 80 k euros a year. But I continue sending out applications and hope to find something in a city I want to be with the same kind of money. So I would say, that here it works, I want something -> I get it. Clearly with a lot of actionable steps between. My wish with my mom getting more healthy and loosing weight worked out in a very funny way. My mom wants me to have long blond hair. I prefer to keep it short and my natural color (dark brown). She promised me on this christmas to loose weight if I let my hair grow and color it blond. Totally good deal for me. So now I am blond and my hair is growing and my mom lost 4 kg in january. My wish with this couple getting a cancer or so, also worked out. She lost her job. I was thinking a lot about why there is a lot of people upon whom I totally wish a lot of bad staff. It is clearly better to let it go, but somehow I am not able to do that. I like revenge. It is always when people have had me in the corner with my back against wall. For example this couple from my second post... We were together in a business. Business went south, not because of me but because of the circumstances. But I was formally responsible. They have put a pressure on me to give them the invested money. A lot of pressure. At the end we come to the agreement. But they made it really tough for me. With less pressure it would have been the same agreement. So it was completely unnecessary to make my life hard. And I want them feel the same way they made me feel. And am totally happy that she lost her job. I didn't come to a lot of poker in the last months. Was somehow to busy with applications and such. So I have not tested, how my results in the messy apartment versus neat and tidy apartment are. I also did not do a lot of work on the appartment. So now it is rather in the condition messy. It remains on my to do list. So I would say, that every wish where I had put some effort/energy is becoming true. Normally I know the people for whom I have wishes pretty well. I know myself well, I know my mom well and I also knew a lot of facts about this couple, where she lost her job. My wishes are somehow always automatically based on the information I have. This means that the probability of them to come true is higher than a statistical average in a population without me wishing anything. For example I knew about this couple, that she is an immigrant, they a have 20 years age difference, no kids, he has no paycheck work and her job was threatened by possible cuts. So the probability of some kind of trouble was high. So basically I can not have an experiment like: Two groups of people about whom I know nothing. For one I wish really passionate to meet a love of their live in the next 6 monthes for other not. And then we just count a number of people in this two groups who met the love of their lives in the next two monthes. I love 2+2. I love 2+2, because moderators do here a really good work. I was writing on two other forums. Admitting with completely different weights. Both are more religious. One is antisuicidal and other more like about God, Religion, World and everything. In the first forum I wrote in a thread of one guy, that yoga can help to calm the mind. It was immediately edited away, because yoga is not christian. Every try to open a discussion about what is a bigger sin, suicide or doing yoga, was moderated away. GRRRRRRRRRRR. Now I am banned there. In the second forum I managed to get banned after 2 days, because I requested to show me, where the bible does say, that only men can be priests. Keep in mind, that I am agnostic, with a lot of respect for every religion. I think I was really respectfull. In both religious forums I was banned with a hint to the rule, that everyone can be banned at the moderators will without any explanation. Come on. What does it make with me. I am starting to think, do I want to live in the society, where rules are like in this religious forums. Definitely not. I prefer rules like here. Blues. 3 in the afternoon and I already reached my caloric limit for today. And I want to play poker tonight. And I can't munch anything along poker. .........That is so out of my habits, admitted bad habits. I still haven't tidied-up my apartment. But I have found some positions, in the city I want to be and am writing now applications to them. After some monthes of closer observations of myself, it is clear, why I have a stellar career and pathetic everyithing else. I invest really a lot of time and effort in my job /looking for a new job, and invest an effort somewhere else only when I feel like that. It is somehow uncomfortable feeling to apply adjectives like stellar or pathetic to some areas of my life. Both things are the same way uncomfortable. Everytime I write here, I have doubts should I or should I not. I stated in my first post 7 points I wanted to investigate here. I can say something now to the point 3 and 4. The point 3 works, but not because of the " bad " energy connected to the present. Or at least it is impossible to lead any statistical proof, about this. But it works, because I know more or less good people about whom I have wishes, and so my wishes based on my knowledge about them have a high probability to be fulfilled. Last edited by lapka; 02-14-2015 at 10:25 AM. must finish an application tonight because tomorrow is a dead line. Hate my life. Have difficulties to make me write this frigging thing. The job is slightly different and requires more extensive application. And I totally make myself crazy about that. Last one is the strongest one. and so on. In my job I solved a number of problems when a system was exited with a certain frequency and that resulted in problems or as opposite was desirable. So I would say first one is a check. I have experience with matlab/simulink and very extensive experience with a lot of different CFD tools. But may be they want something different. So I am not sure in this point. I have many semester experience as a tutor and I also supervised various diploma and phd in my job. So I would say here is a check. Research.... Definetely a check here. To long and boring for the blog. Lectures in english. I would say yes. Hopefully this blog will help me to improve in english. Will post here in 2 hours, if that helped to finish writing this application. Procrastination is, when you need/want to do something, like doing your homework, chores, writing applications, exercising, but you are doing everything else instead and not really enjoying it. The trick is not to pile up additional reasons to do THAT THING, but instead to look for good reasons not to do it. (If you are procrastinating, you always have very good reasons, not to do, what you need to do. They may not be socially very acceptable. But they are very good reasons for you.) And then somehow either to make this reasons go away, or if they are really good, to make a conscious decision, that you neither need no want to do THAT THING. Me yesterday was an example for making the reasons disappear with dissecting it in small segments and then writing down what I know to every of this segments. A good example for good reasons not to do something, is when you study/do s.th/ work on a project, which bores the hell out of you, only to please your social environment. Then you need to be honest with yourself, bite that bullet and tell your parents, that you hate law, it makes your want to die, and because of that you are throwing the towel with law and are following your passion and are becoming a nurse. P.S. I would appreciate a feedback if it is difficult to understand / possible to understand at all what I am writing. I mean I understand, that I have a grammar of someone, for whom english is not a first language. But I have no feelig for how bad it is really. It would help me to do something about it. I am old. Approx double age of an average 2+2 guy. And i have yet to find a magic against a constant stream of "here you are wrong, here you should do better, it is your fault that I don't have grandchildren....". This constant stream of negativity. Wtih any other person, who would be this way, I would have stopped communication after a second hour. But she is my mom. And I really don't have a good way to deal with that. As a preface: I am rather nerdy and shy and communicationally challenged. He is from Russia and tries to buy a used car in Germany. He does not speak a single word in German. Imagine: to buy a car without speaking the language of the dealer! I made some calls for him, he took me out to dinner. We had spent about 5 hours in each others company and it was cool and nice and helped me pass the time und him to avoid having bought some cars with really run down engines. I know now someone to go fo a bier in Moscow and he in Frankfurt. The key is, it has to be a situation, where people have to be social, where it is basically impossible to be not social. You have also to be really open minded and accepting of really really strange guys. But it is totally interesting. was overnighter and pretty empty. I sat down at an emty group of 4 sits and thought I will have it for myself. No chance. A young dark skinned guy asked if he can sit there too and offered me a cupcake. Side note: Cup cakes are a totally good way to win sympathy. We started to chat, first in english, then in german. He is from Marokko, wants to study in Germany engineering. We skype since then. And it is somehow very cool and realxed and nice for both. Probably every second bus/train ride/ I talk with someone interesting. That never happens when I drive a car. Last edited by lapka; 02-22-2015 at 10:19 AM. Sometimes I wonder how many issues can one have and still remain functional. has the thought that you want things that have a cause and effect to be categorized as a kind of magic part of a child within; the part that wishes there is magic? I have often felt I could cause magic too- in the way you meant it. Your blog is excellent. derived from "loosing grip on reality"
What is a reality anyway? I mean most of us can agree on that the second mechanical law is a reality. Or the statement "having AA as a hole cards is cool" is a reality. More interesting is a sentece like " I am......." and then asking someone else "lapka is....". It will always be a difference between a picture I have of myself and my social environment has of me. Which of this pictures is reality? I would say all of them are reality. But it is an example of many realities existing in parallel, example of not having one universal reality for everybody. I think that one of the keys for good functioning, remaining stable in the psyche and generally happy is to find environment, which has as similar as possible picture of the world as myself. Very practical implication for me is new job in the next future. Last edited by lapka; 03-06-2015 at 04:41 AM. I think it has to do with having control, not being a victim of the circumstances. If I want something then it is somehow always achievable. And I have only to think hard enough to understand, what I have to do, to make things go my way. And about you being able to do magic, I think you can. I mean, it is not harry potter magic . It is in the first line about managing myself, then about managing and influencing others. I haven't read your oots posts. But alone from your blog, you can see how people are driven to you. Totally magical. Not sure if that will work the magic here. But the plan for today is 3 applications to combat this REALLY FRUSTRATING FEELING. 2 of 3 send. Frustration basically completely gone. Somehow I don't dwell on rejection. It clearly frustrates me BIG TIME the moment I get it, but after about an hour it belongs to the past. And somehow I don't project it on new applications. I think the magic here is that I know, that I am good in my job. It is also confirmed by my education and letters of reference from my current employer. So it is not only my reality. This means that I only have to send out enough applications to get what I want. Had a session with a coach. Not a poker coach, but a job application coach. Apparently I have put not enough information in my CV and to much in my cover letter. I was told to change that, because apparently CV is read every time and cover letter only sometimes. Some expressions have been changed. It is better now. I mean I see that the whole application has become better after work with coach. But somehow I was not able to produce this result myself. I always have done more than I should in my job. One thing I always done, although it was never my responsibility is administration of IT systems I use. It was never appreciated. Now that I am leaving in 3 months, my boss tried to make our IT to install a certain license. Response from the IT was basically "No. We don't have resources to do that. Lapka has done it in the past. She should do it now again". My boss had to ask me. And I don't care any more. My work was not appreciated, so now I just don't care. He can do it himself (LOLOLOL) or whatever. And it feels so really really good. I do think over and over again, if it was a right decision to give the notice in this job. I mean I still don't have, something in Hamburg (best city in Germany). But it feels good again and again, to know that in 3 months I am out of here. Forgive me if I'm intruding, but I don't know if you are making the correct call karma-wise, by not doing this final job. It was not my work-ethic that needed changing, it was my place of employment. Why should my work-ethic be a source of frustration and anger to me? It's the places that have employed you that have failed. They have failed to fully value your contributions. This should be a source of pride and good feeling for you. So, I would do as they ask, as you know full well what they are losing when you leave. And you will feel much better internally. Good luck. I will definitely think about what you said and probably even do that.